December 2017 | the every things. I can listen to Christmas music without judgement! I don't want to brag or anything, but Christmas is my thing. I pride myself on a carefully curated Christmas playlist. 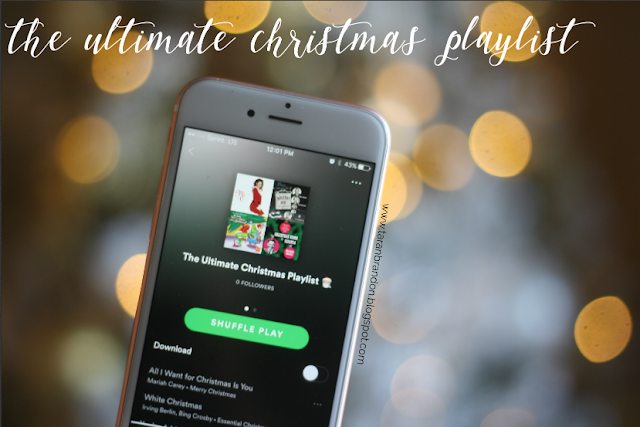 I know Christmas music, & one of the gifts God gave me is the ability to make the best darn Christmas playlist to be played for anyone & anywhere. When you play this list I am about give you, there will be something for everyone. J Biebs because honestly..was his holiday happen absolute holiday gold or what? Spotify is where my Playlist was created, & right now you can get premium membership for just .99 for 3 months. So if the off, rare chance you will need to skip a song on my amazing list ;) , your skips wont be make you listen to ads! You can listen to the playlist HERE, & enjoy!